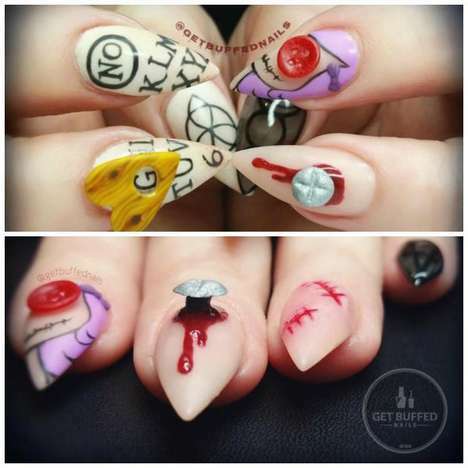 Reddit user and makeup artist Sssamanthaa posted a genius Pop Art Zombie look online recently that will sure to have makeup aficionados and zombie enthusiasts everywhere drooling. 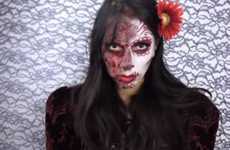 The zombie look is one that has been so prevalent in popular culture, especially during Halloween that it's hard to find a way to innovate it -- but Sssamanthaa's look does just that. 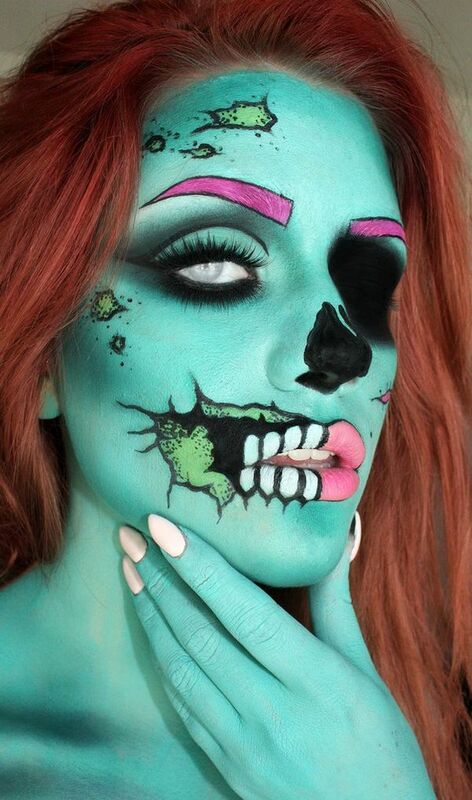 Her vibrant mint green and hot-pink look brings a new meaning to the term "undead." 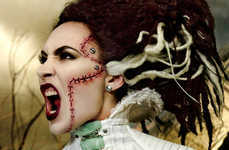 The makeup style manages to be both pretty and terrifying at the same -- a hard feat to accomplish, to say the least. 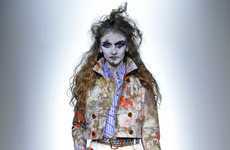 If you want to go as a Zombie for Halloween, consider this insatiably fun Warhol-Inspired pop art version.